Thank you very much for coming to Bros Co., Ltd.
Bros Co., Ltd. is an export company for new and used vehicles from Japan. My brother and I established the company in 1990 in Tokyo. The name Bros = brothers. Like brothers our business is based on honesty and co-operation. Hitoshi Ito, our export manager, joined the team in 1991. 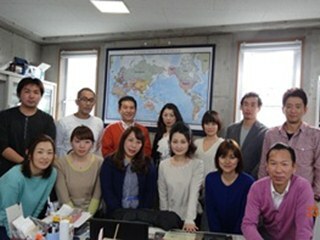 Bros Co., Ltd. has a family atmosphere, this helps when dealing with customers from different countries and cultures, relationships are very important. Our customers range from large volume retailers to small dealers, we try our best to meet any customer`s requirements. Annually, we export over 3,000 vehicles around the globe. We have considerable knowledge of local authority requirements and our delivery of paperwork and shipping is very prompt. Interested in a wide range of business opportunities, we can be your link to Japan. Bros. Co. Ltd. is unique in having a professional team that has grown with the company and is committed to the ongoing development of the relationships we have built. Many customers have continued to deal with us, for more than 15 years. We look forward to dealing with you for many years too.